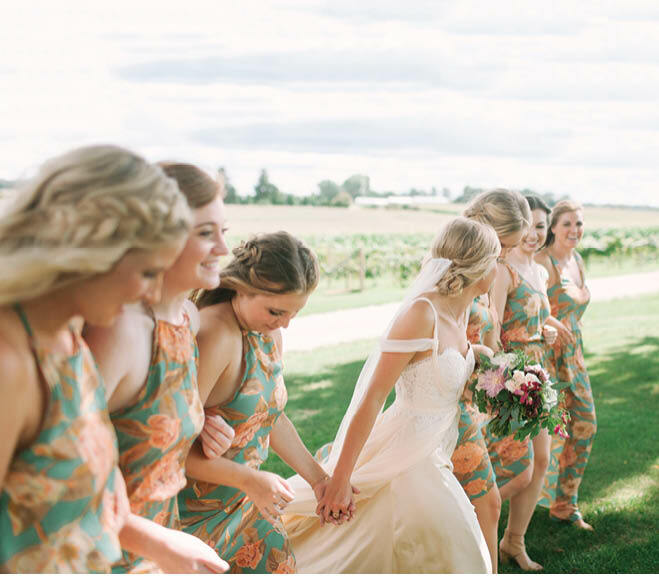 (Above) Romantic, floral-print bridesmaid dresses are a lovely complement to this bride’s pale-peach gown—a quiet statement that makes a big impact. 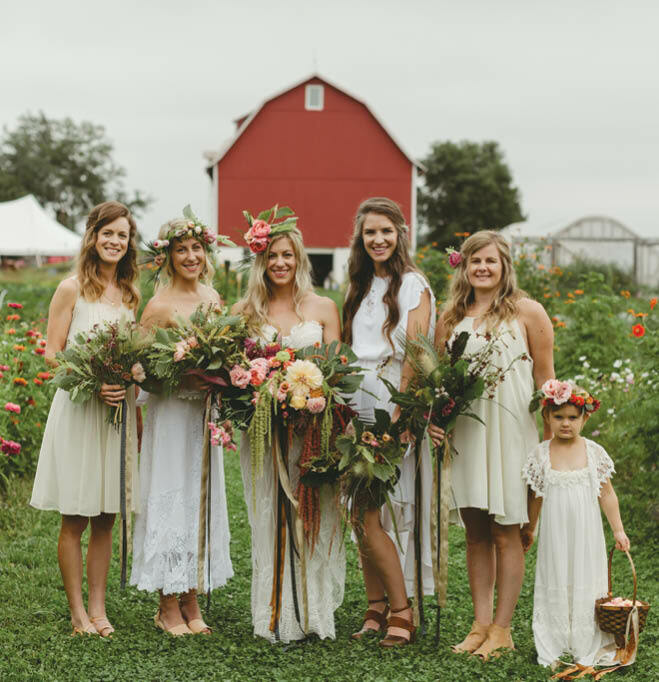 Bride Amanda Widenski and her bridesmaids scoured boutiques and online shops to find the perfect design to fit the elegant yet relaxed theme of her August 2016 wedding at Over the Vines in Edgerton. Dresses by MuMu. If you’ve been a bridesmaid, you’ve probably heard it before: “You can totally wear the dress again!” Yeah, right. 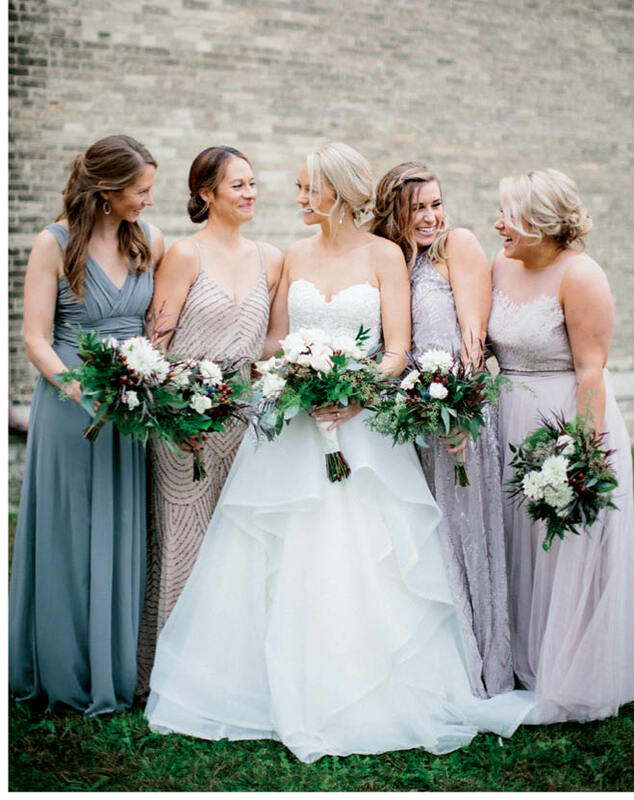 Bride Emily Patch had a better idea: Her bridesmaids rented their blush gowns for her September 2016 wedding at Hubbard Park Lodge in Shorewood. That way, they could wear smashing designer dresses—without all the expense and commitment. 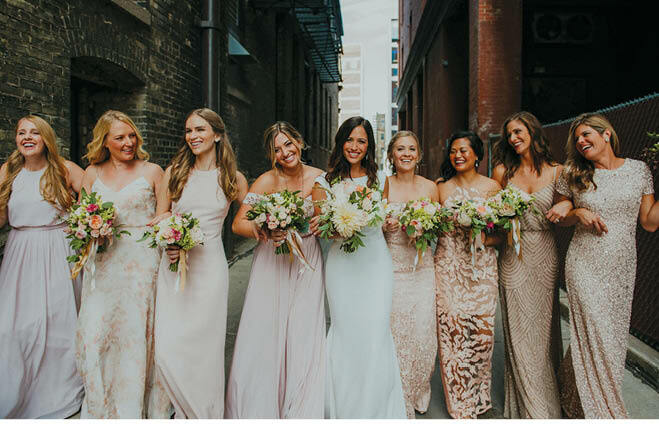 Gold is a big wedding décor trend, so why not in bridesmaid dresses? Your gals will shimmer in gowns like these numbers inspired by old Hollywood. 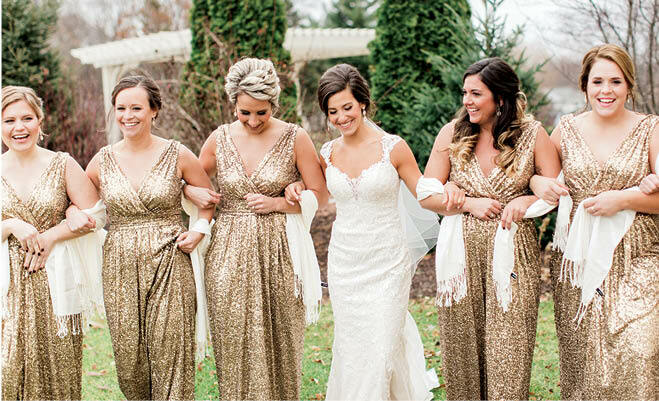 Carmen Fiordellisi wanted the gold theme to “pop” in her December 2016 wedding at Olde 41 in Green Bay, so she chose these sequined floor-length dresses. Looks like she got her wish, to stunning effect. Lace is a timeless element in any wedding, but black lace adds an unexpected flair. 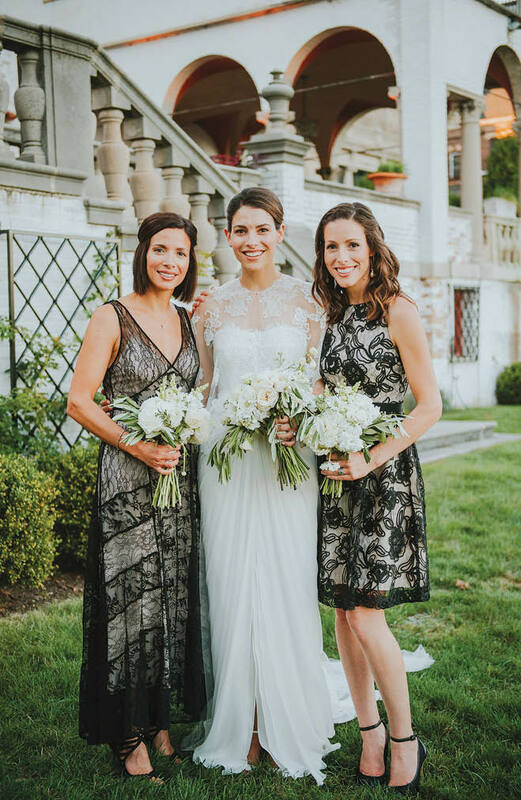 Madeline Siegelman, who tied the knot in September 2016 at Villa Terrace in Milwaukee, let her bridesmaids chose their own dark-hued gowns—and the elegant lace frocks were a lucky find. “The bridesmaid dress stars were aligned that day in Saks!” says Siegelman.